This month I focused on broadening out my portfolio with some landscapes. I was lucky enough to get a week off work to focus on that, and I finished two paintings (top left)! I really enjoyed the process and I’ll probably end up making more in the future. I’ll also be putting more effort into backgrounds on my portraits where it makes sense. 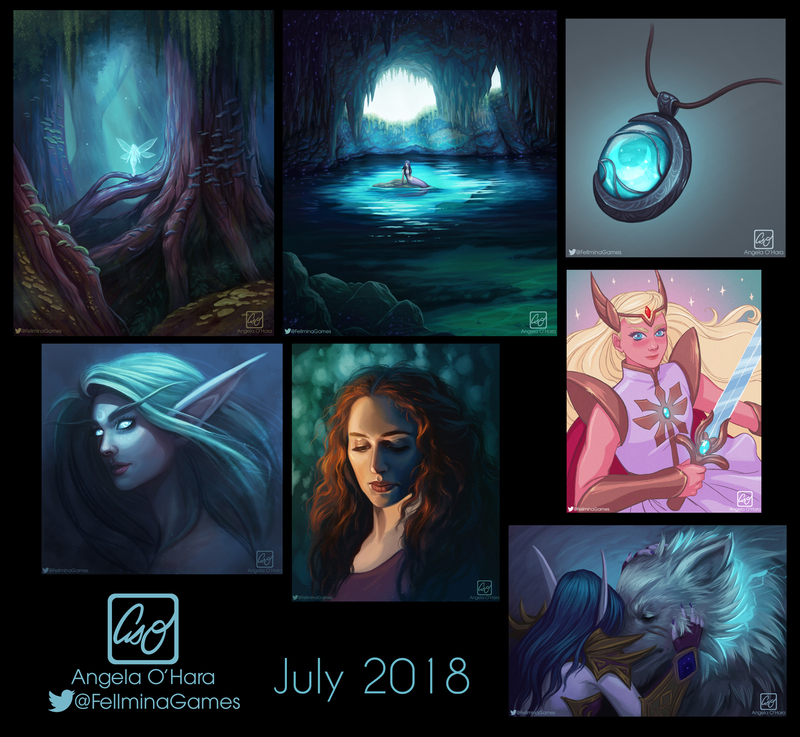 I also took part in a few more art trends, including Faebelina’s moonstones on Twitter, and the new She-Ra. The moonstone was a challenge to come up with a necklace design that your night elf from Warcraft would wear, and I designed a simple setting that would feel good in your hands. She-Ra’s new design was so cool, I just had to draw her. I experimented with an inked style and it was fairly fast, but I still don’t prefer working with inks as opposed to lineless paints. My fanart made it on to the studio’s fanart wall, and I couldn’t be more proud! 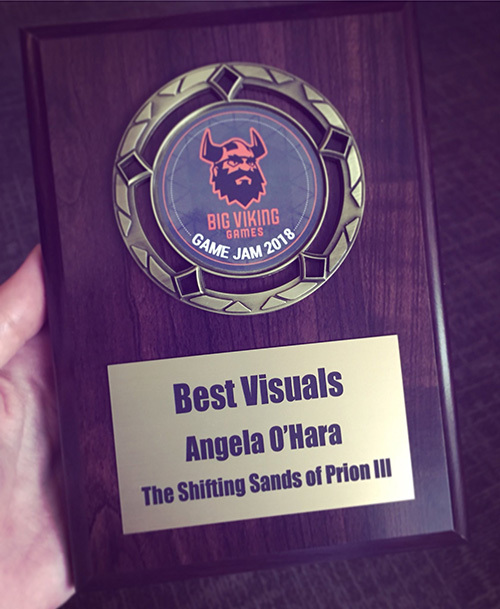 Lastly, just today I received my plaque for the Best Visuals award at my company’s game jam. I’ll have to display it in my home studio!